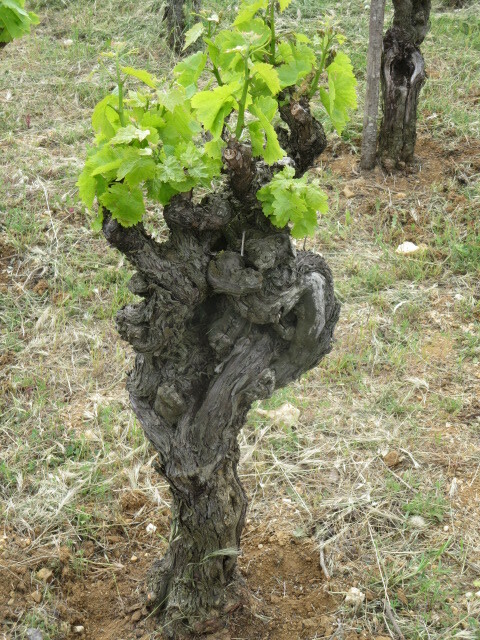 After a couple of months of dry and windy weather in the main April brought some relief for vignerons with some good rainfall. Indeed not so much April showers as steady rain on a couple of weekends. 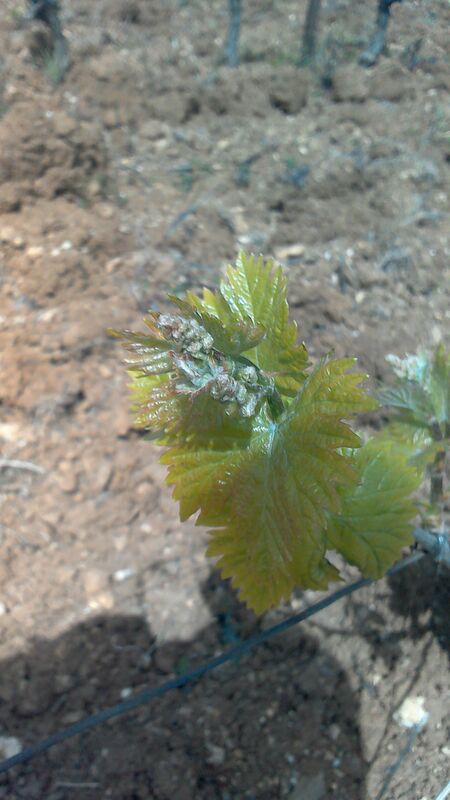 The results were immediate in terms of the vine growth as they have shot away in the last week or so as temperatures rise too. 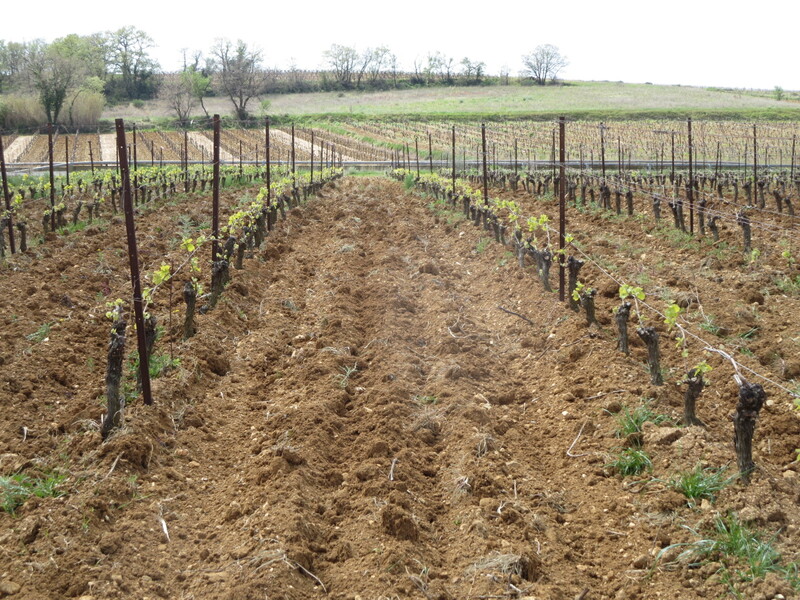 The work of previous months continued; hard work, unglamorous work but vital work for the vineyards and domaines to prosper. 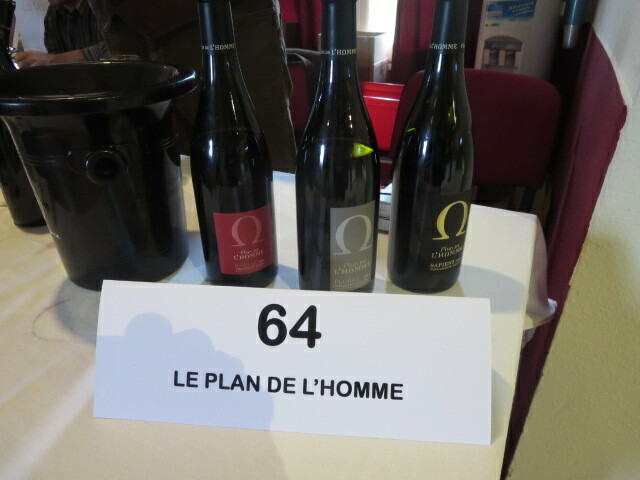 I spoke to a very good producer (Plan de l’Homme) and he told me that the commercial side of winemaking is hard work. 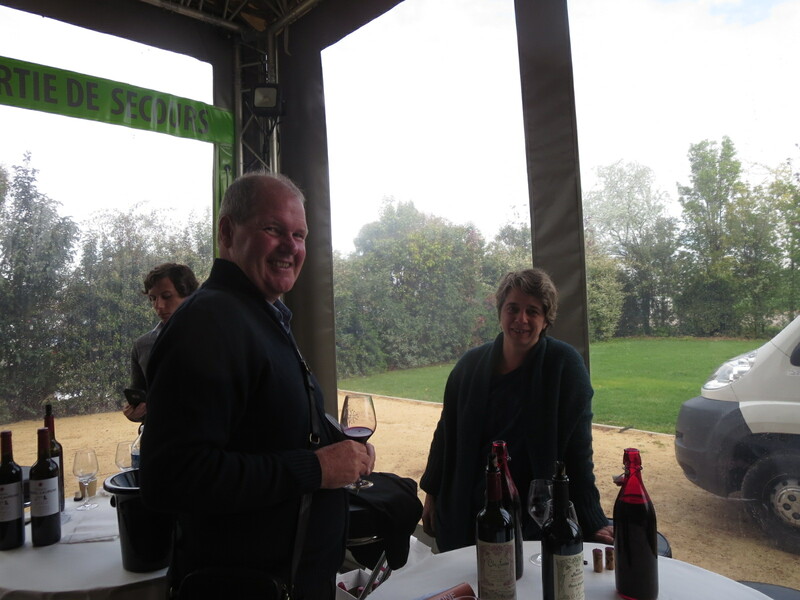 He was at a salon in Montpellier to celebrate 30 years of Coteaux du Languedoc, one of many salons throughout the month. He and others attend regularly to find buyers, especially cavistes. Deborah Core of Mas Gabriel assured me that such salons do pay for themselves and are worth the effort but they are hard work, long days of repeating the same information to tasters who all matter of course, though some are more receptive than others. Reminds me of being a teacher! I shall come back to the commercial side another time as it is the third important part of the job after vineyard and cellar work. 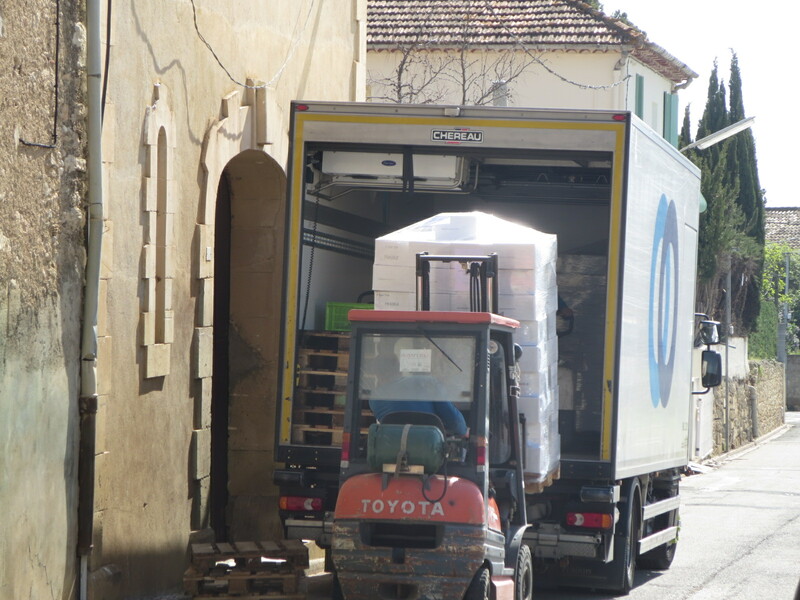 Bottling also continued as well as habillage, getting the bottles ready to send to cavistes across the world. 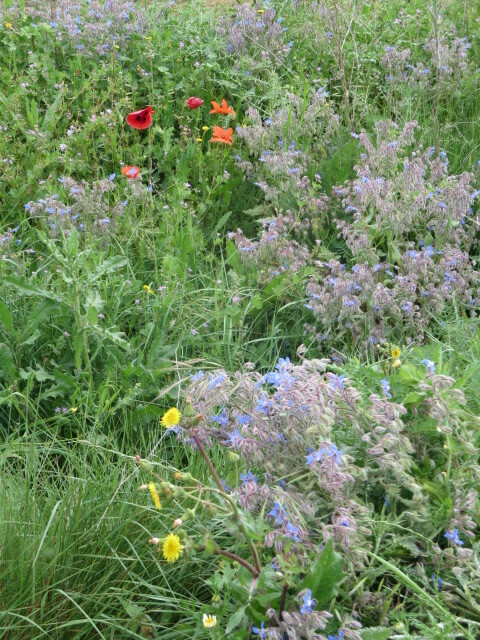 Previous posts have shown this work so please have a look for them if you have not seen them before. More of the 2014 wines are now in bottle including my old favourite Vin Des Amis which in my view is the best of this cuvée since 2010. 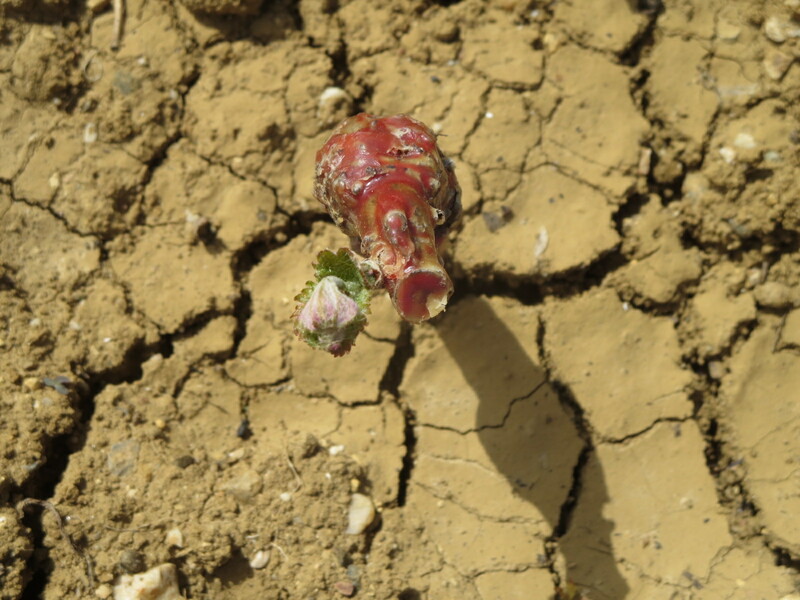 However, the real change has been in the vineyards and it is there that the work has been centred as they are literally blossoming. 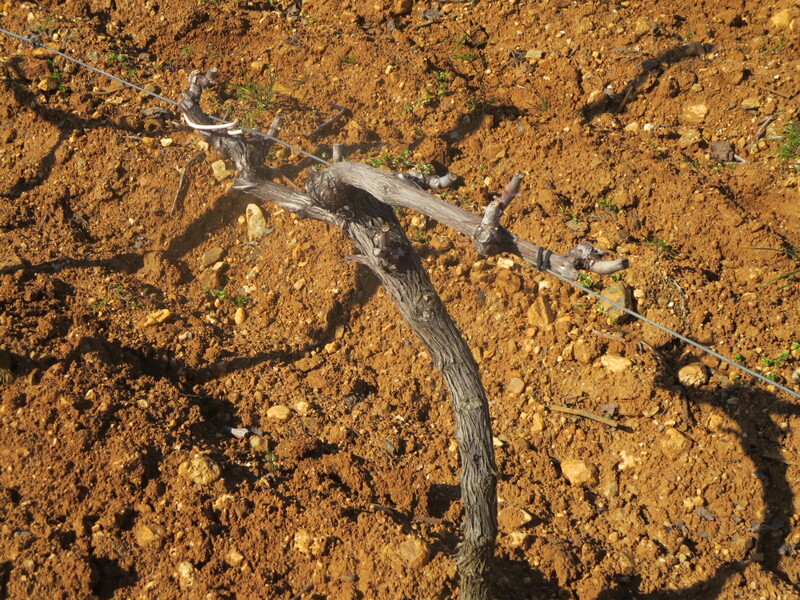 Vines are a climbing plant and will grow very quickly in the next few months. It has been a joy for me to watch their early development, seeing in real life what I had only read about before. 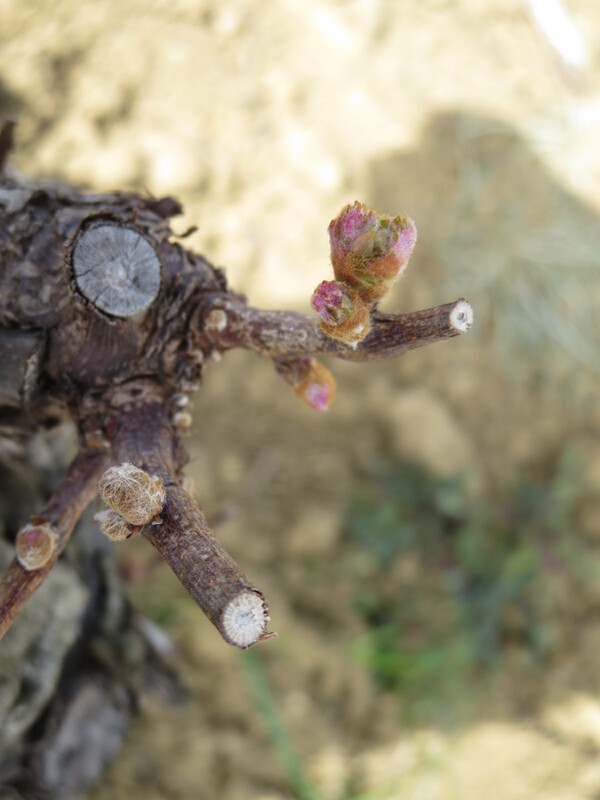 The buds emerged towards the end of March and the beginning of April and as I described their emergence varied in time according to the cépage and the position of the vine. 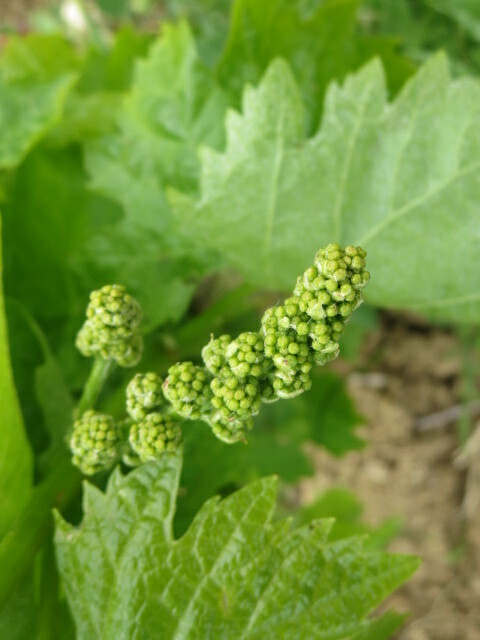 Leaf break, flowering and the formation of the grape bunches, grappes, all quickly followed. 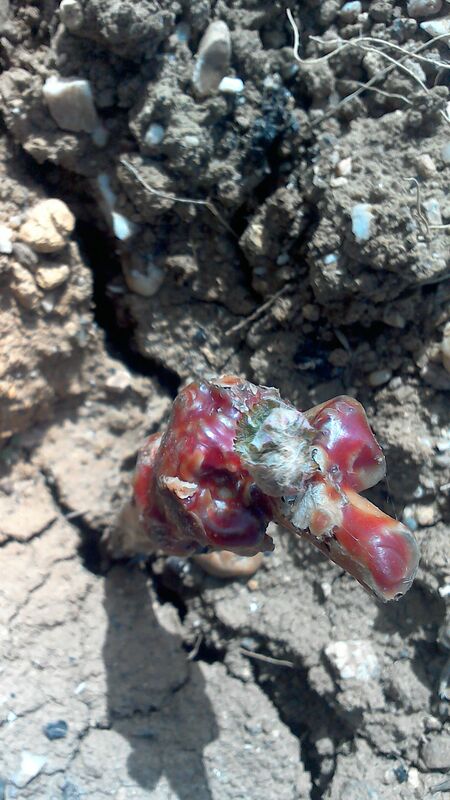 In the last week or so the small grappes began to divide showing how they will form. 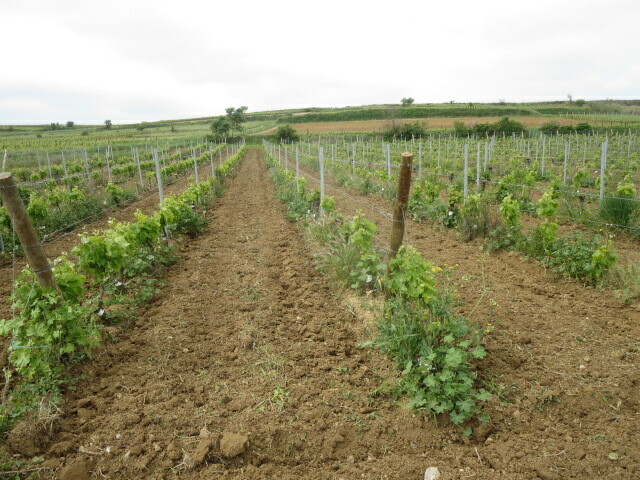 To encourage and support this growth the vineyards were ploughed twice to provide organic matter from last year’s growth of grass, flowers and other plants. Long hours on a tractor going up and down the rows makes for tough days. 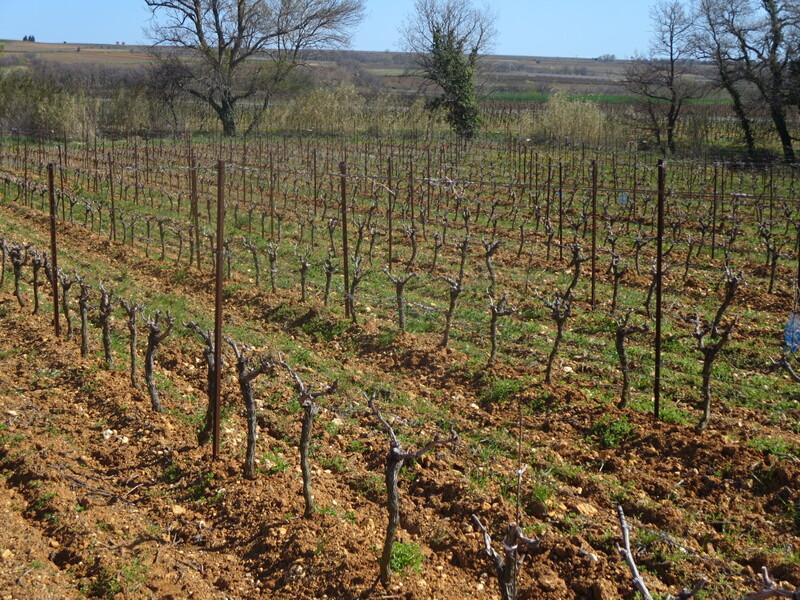 Then further weeding using a pioche or intercep, forms of hoe, to get inbetween the vines. 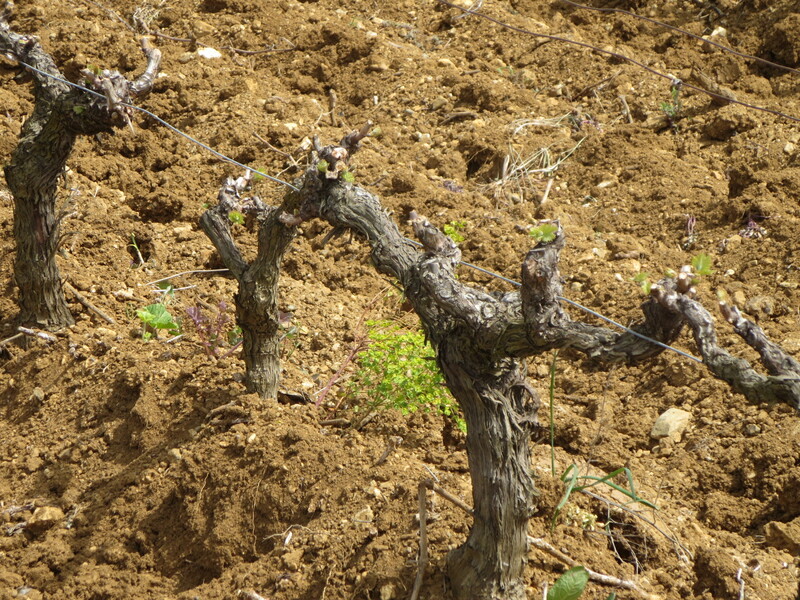 In some vineyards the base of the vines were covered a bit more in autumn to protect against frost, cavaillonage. 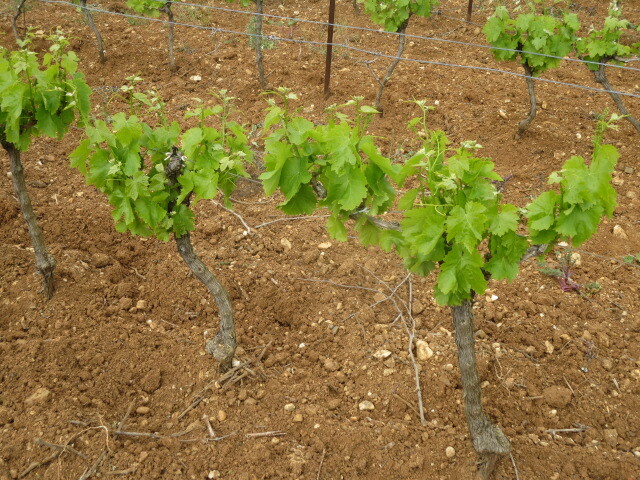 These are now removed and the vines stand ready for the heat to come. I went to Barcelona for a few days last week and the difference in the vines was staggering in that short space of time. 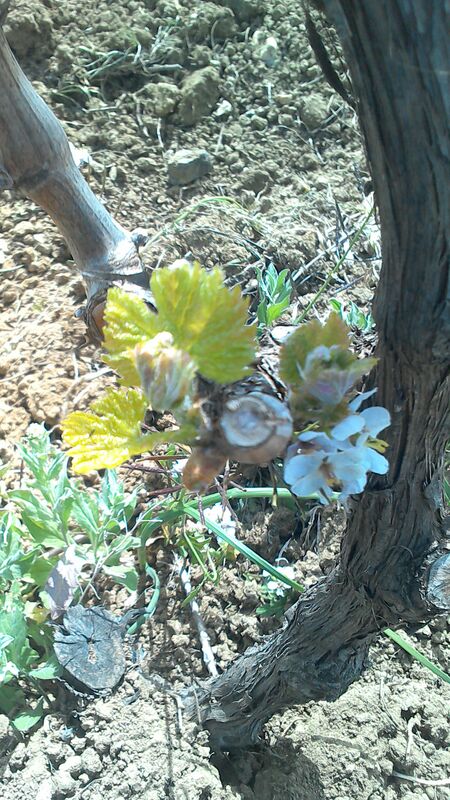 Nature and the dedication of the vigneron are at work. Categories: Vignerons, Wines | Tags: April, cavaillonage, commercialisation, habillage, intercep, pioche, salons, Vin Des Amis, vines | Permalink.